Dehydration is the silent danger of kids’ sports – keep your kids healthy by recognizing the signs of dehydration and following these tips. Dehydration is one of the biggest dangers in kids’ sports, but many of the symptoms are difficult to recognize and even more difficult to prevent. Because most kids are in school all day before the hit the field, parents can’t monitor their fluid intake throughout the day. That’s why instilling responsible water intake habits and recognizing the signs of dehydration right away are both vital to keeping kids hydrated during after-school sports. •Are wearing clothes that aren’t breathable. •Have recently vomited or had diarrhea. •Have a chronic condition like diabetes. Making sure kids stay hydrated throughout the day can be challenging, especially if your child doesn’t enjoy drinking water. While it can be tempting to offer them soda or sports drinks in place of water, that’s not a good idea. Because many sodas contain caffeine, a natural diuretic, they’ll lead to even faster dehydration. While sports drinks are better than sodas, they often contain lots of sugar and electrolytes, so they’re better left to periods of heavy physical activity. If your child is a reluctant water drinker, rather than falling back on flavored beverages, try giving them a water bottle in a bright color or fun pattern. Encourage them to finish and refill the water bottle at least twice each day before their sports practice or game even begins. Hydrating snacks like watermelon or other fruit can also be good vehicles for water, especially for younger children. Prevention is your best weapon in the fight against dehydration. 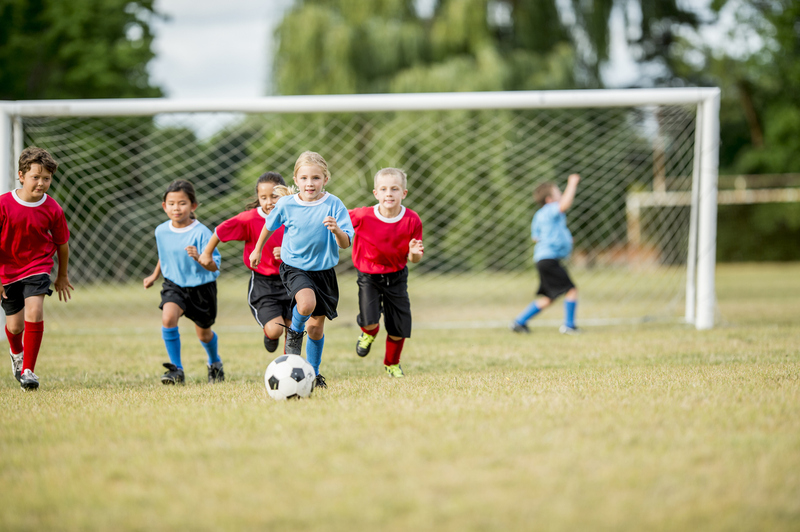 By following these tips, you can keep your kids on the field and out of potentially dangerous situations.